Published by Lonely Planet (blog), 17 December 2012. Original post. 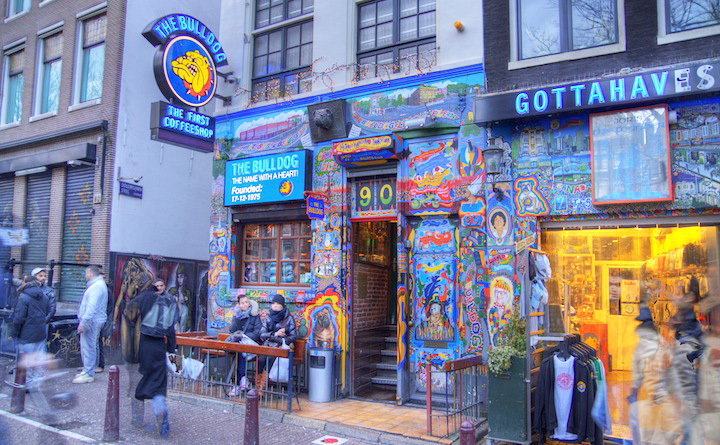 Amsterdam coffee shop by Arthur Caranta (Creative Commons). Heart of Dankness is a travelogue only by necessity; if Mark Haskell Smith had his way, he wouldn’t need to leave his home state of California to experience the specialised highs promised by Amsterdam’s competitive Cannabis Cup. Nor would he want you to have to leave your home town (or even your couch) for a similar experience. Since marijuana possession remains illegal throughout most of the world, however, Haskell Smith needs to travel to get his toke on. This is just as well, because his quixotic search for ‘dankness’ becomes a fascinating travelogue populated by a large cast of larger-than-life eccentrics united by their love of good dope.